Though these ideas are not new, have been shared many a times here.. But as the tips are in pieces i thought of putting it together. 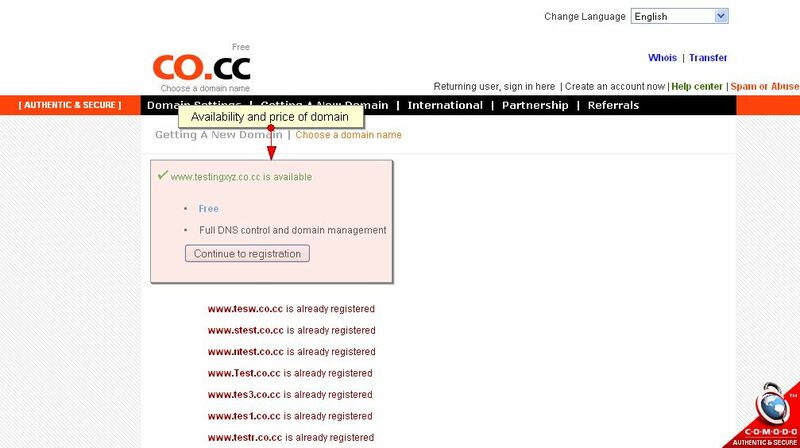 2) Once you have found a domain which is available and free, register for it. 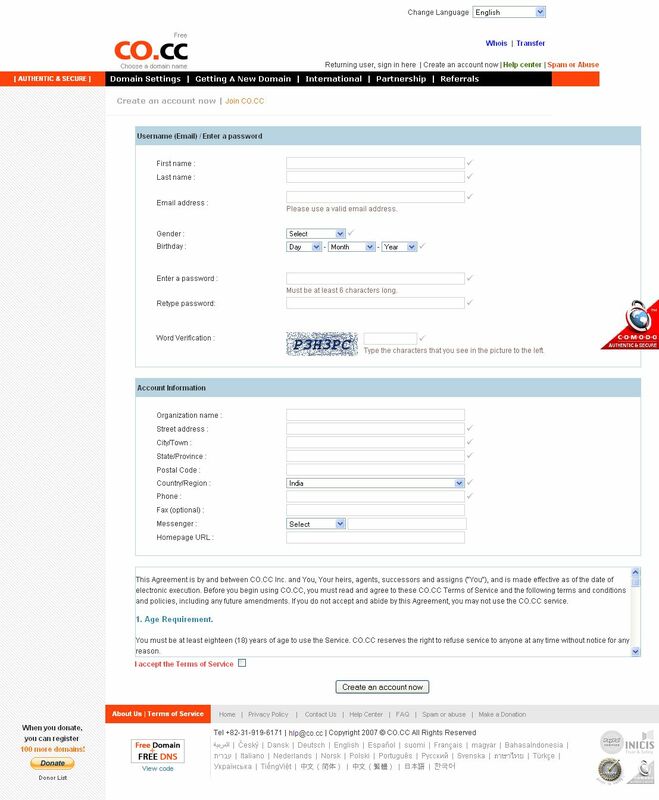 3) It will lead you to login page, if you already are registered user log in or else create a new account. 4) Once your account is set, you can make changes to your selected domain. You can redirect it to your site. You can either choose path forwarding or mask url option etc..
Now as you can see in the screenshot, we need CNAME from google, which is very simple. Do not close that tab.. in new tab open http://www.google.com/a/cpanel/domain... , check on Administrator and type in yourdomain.co.cc (put your domain name here, for instance (monica-gurnani.co.cc in above example).. You will be redirected to a simple form, fill it out and follow the instructions. you will recieve the CNAME from google without any delay. Copy the code and paste in previous window where we were setting up the domain. In above post i have emphasized more on email setup, sorry for shortening the "domain setup steps". Here is brief tutorial about .co.cc setup. 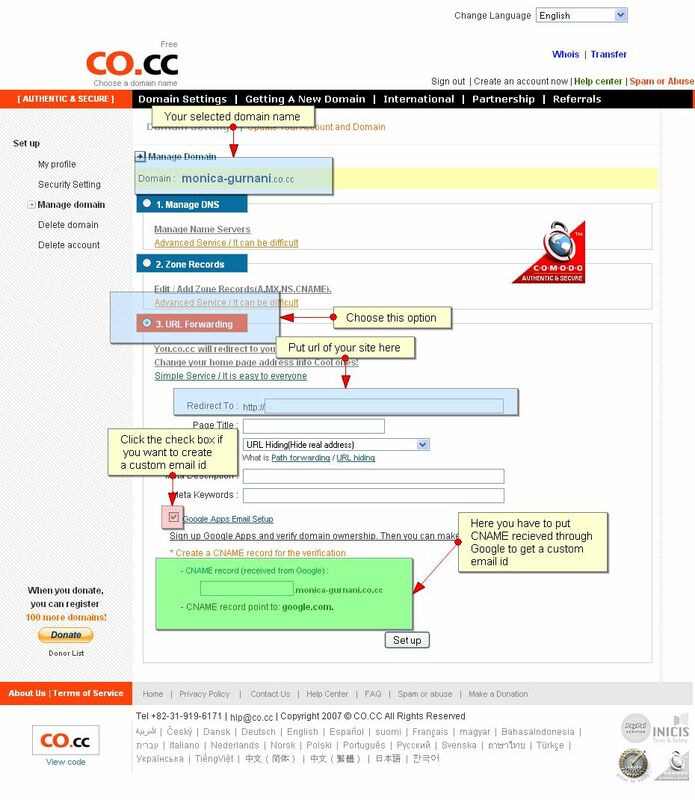 Step-1: Visit .co.cc. You will see a search box there. Search for the domain name you wish. (most common names can be unavailable, you might need to search more sometimes). You need CName etc ONLY if you want a custom email address. Otherwise you dont need it. Click on set up button and viola you are done! .co.cc could be dodgy you have to put your address in and everything! I am not familiar with this and as it is a third party we cannot offer support. Perhaps someone here on the forum can help or you can try www.co.cc and see if they can help you. Ok, I put in my published synthasite url but when I type in my co.cc domain name nothing comes up. The name I have registered is www.goddesigns.co.cc. The Synthasite url I gave them is correct, do you know why it isn't redirecting to my page? Please help. This usually happens when you have done everything right on your domain settings with .co.cc but have not published your site from SynthaSite to your own domain name. Go to "Publish My Site", choose the second option and add your own domain and then click Next and you will be taken through all the steps to publish your site. If your site is already published to another domain name you can edit by clicking on the drop down arrow next to the yellow "Update My Site" button. Then click on "Publishing Settings" In the dialog box that opens up you will see an option to Manage your Domains. Use this to add in your new domain name. This will make it so that if somebody types your domain (in my case goddesigns.co.cc) it will come up if that is typed and also if www.goddesigns.co.cc is typed in as the url. 3) Wait for a few hours (up to 24 hours) and go into Synthasite and publish your site. Choose the second option and type in your domain name (in my case it was goddesigns.co.cc). Click the check button. If it comes up and says "pointing at nothing in particular" then you need to wait longer for co.cc to update. 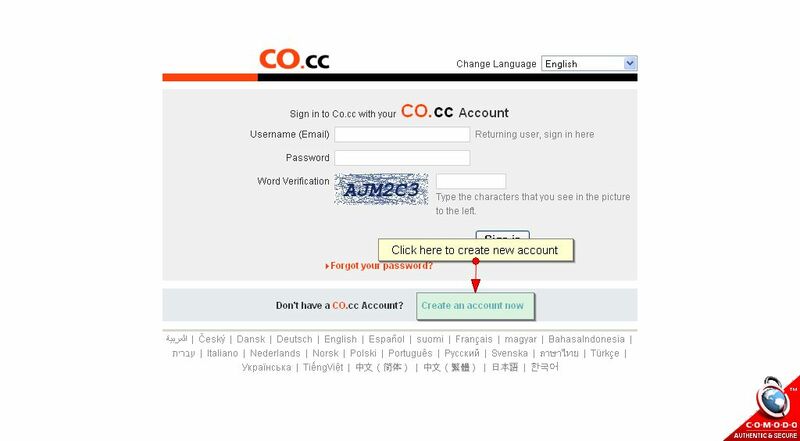 Remember, you need to log into your co.cc account periodically or it may get deleted (according to the co.cc website). Thanks JW, for the step-by-step help! i cant able to Register a Domain @ co.cc its ask for money ? is free Service Closed ? Click on the yellow "Publish My Site" button. A dialog box will open up, select a free subdomain by filling in the first box and follow the prompts to publish your site. Hi, you said i need to enter a URL of my own website. Do you have any idea where and how can i customize my own?I don't have any idea. thanks. Hi Mike - we have detailed information on publishing and getting your own domain on this link: http://www.yola.com/customer-support/.... Let us know if you have any other questions. Thank you so much for the idea! It was just what I was looking for. Thank you again. Good luck in all your future endeavours! what do we have to fill in Redirect to opt.? Hi Alcoolcool - are you referring to the steps given Monica? Can you please tell us in more detail which step you are having difficulty with? Hello I need help. How can i add a co.cc domain to Yolasite? I have tried but it says that the domain it's not pointed or something.? How can I? I love using yola but I want to use my own personalized domain .co.cc and I want to add it to Yola. Please help me. Please can we have your domain name URL. This may seem like a really stupid question, but what is the difference between using co.cc instead of using google apps for a domain name email. Hi have just registered my domain but what to I write in Redirect To(URL) : http:// - section. Redirecting to your site means, that you redirect your published site (with yolasite subdomain) to your new co.cc domain. If you didn't publish your site yet, you have to choose a subdomain and publish it first. There is another option in co.cc, you can also set two A records pointing to the IP address of Yola, but the first option is simpler. If you need any help, please let us know. FUC*!!!!!!!!!!!! .CO.CC IS PAID IDIOT! This thread was begun four years ago! It won't be current info as nothing lasts that long on the web. There are still free options at co.cc, check it!